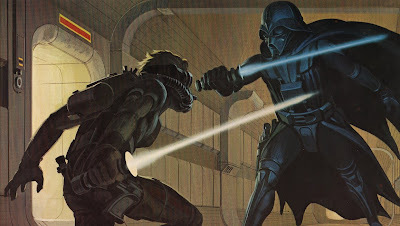 I cannot begin to imagine what the Star Wars saga - and a lot of other movie and TV franchises - would have been like had it not been for Ralph McQuarrie. He started out at Boeing, and then was hired by CBS to create animations of the Apollo program as NASA was preparing to land a man on the moon. Some years later McQuarrie was approached by a filmmaker named George Lucas, who was planning a movie about a galaxy far, far away and needed to populate it with a unique assortment of heroes, villains, robots and spaceships. And had it not been for McQuarrie's visual conceptions, what was at the time merely "Star Wars" might never have been picked up by any studio. But thanks to Ralph McQuarrie, it was. And in addition to creating the looks of Darth Vader, Chewbacca and R2-D2, McQuarrie would go on to further flesh out the look and feel of the Star Wars saga. He also worked on the original Battlestar Galactica series and then again for Lucas and Steven Spielberg when they set out to produce Raiders of the Lost Ark. Along with many other movies and television series. 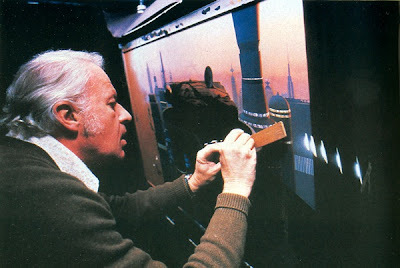 The sad news this morning is that Ralph McQuarrie passed away this weekend, at the age of 82.